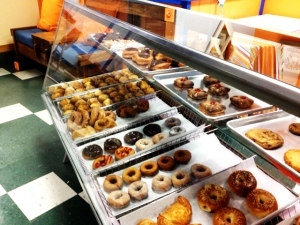 The Donut Directory: Dirty Dozen Donuts = Delicious!! My husband is a donut nut. Yesterday we had a donut tasting with friends. A dozen from Congdon's in Wells, ME, a dozen from Klemm's in Windham, NH (both have excellent donuts), and a dozen from The Dirty Dozen which won hands down!!! Yummy yummy!